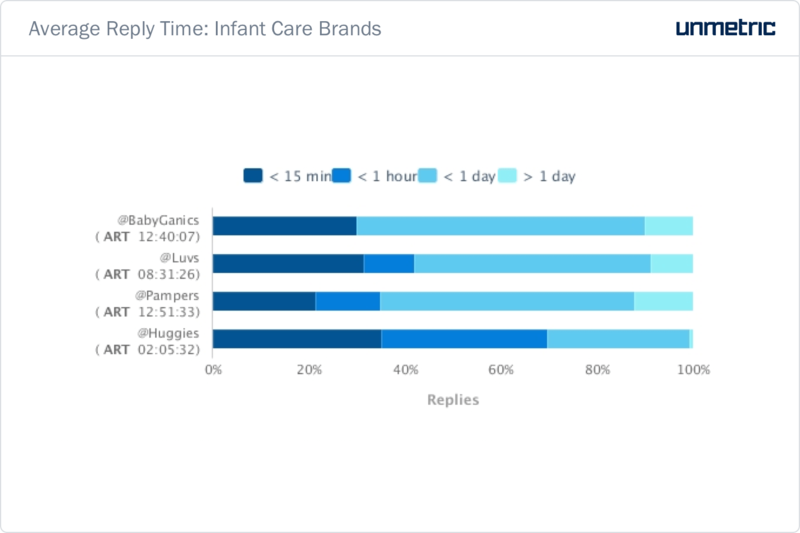 You would think that being an infant care brand on social media is cakewalk. After all, who can resist those adorable baby pictures and videos? But making the most out of your social media presence is not just about getting a load of ‘awww’s. If you aren’t convinced, take a look at how Huggies carefully plans and skillfully executes its social media strategy. 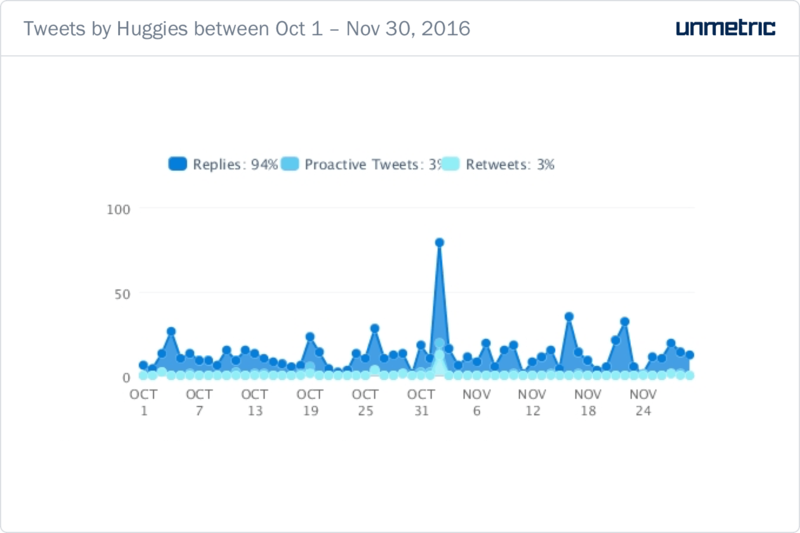 Using Analyze, I considered how Huggies performed on Twitter and Facebook during the period between 1st October – November 30th 2016. @LesleyNagy He is too adorable, Lesley, and we love his little whale socks! How is the #momlife treating you so far? Such devotion rarely goes unappreciated. Another thing that is worthy of note is the way the campaign was executed. They announced the event in advance. The event fit perfectly with the #NoBabyUnhugged campaign strategy. The brand spearheaded the initiative to have hugging volunteers in neo-natal care. The idea that hugs have an impact on the well-being of the new born child is communicated clearly. This cements Huggies diapers’ attempt to be just as caring and nurturing as a hug. This again, flows clearly into their product for preterm babies – Little Snugglers. Preemie babies who are too delicate to be physically hugged can feel warmth and protection with these carefully designed diapers. While the event was in progress, they declared one of the winners of the contest. Then, Huggies went on to connect this campaign to a bigger issue. According to their tweet, one in three families have to choose between buying diapers and food. They built on this by announcing that they are founding sponsors of the Diaper Network that seeks change in this situation. 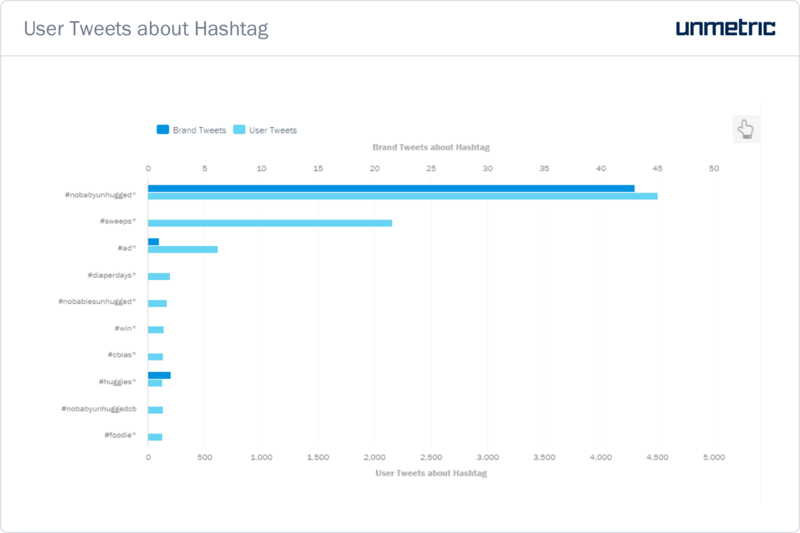 In addition to the 43 brand tweets that mentioned #NoBabyUnhugged, there were 4,503 user tweets with the same hashtag. As I mentioned earlier, they don’t have a standard ‘Please mail customercare@xyz.com’ reply that they use for any and every user Tweet. The problems brought up by users are carefully considered and necessary next steps are suggested. Huggies also had a higher Response Rate (14.3%) than the average Personal Care brand from North America (9.6%). Evidently, Huggies beats its competition hands down when it comes to customer care. Huggies has an active presence on Facebook as well. They have over 1.3 million Fans on Facebook and experienced a fan growth of under 1%. They published 14 Posts in all. On the whole, these received close to 19,000 Likes, over 2,000 Comments and 5,644 Shares. The No Baby Unhugged campaign stood out on their Facebook page as well. Of the 14 Posts, 8 were part of the campaign. The most engaging Post during the two month period was among this too. As you can see, here too, the brand has replied to every user comment. 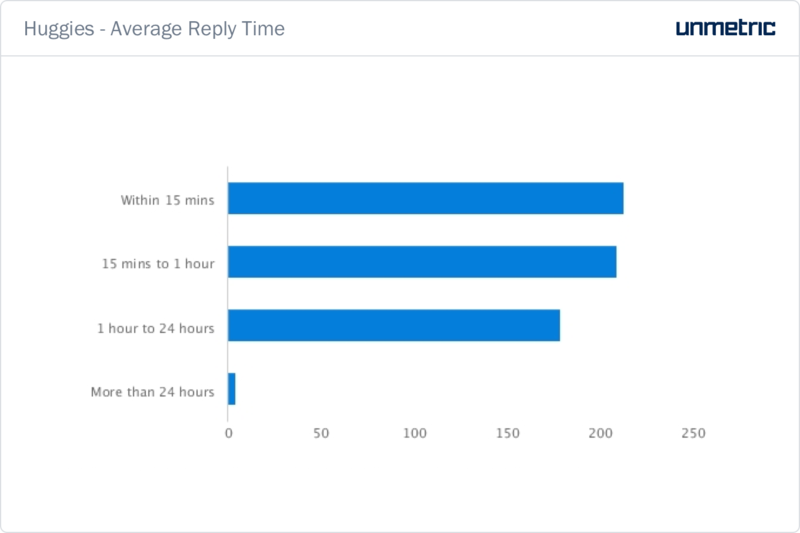 This is a great motivation for users to comment, thereby driving up engagement. Both these Posts had one thing in common: they had money behind it. Promotion allows brands to give their content a little push. 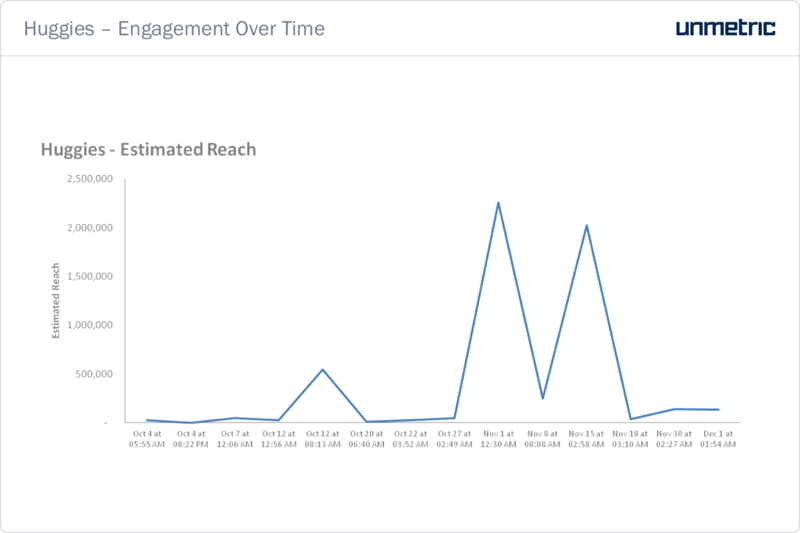 This usually has a significant effect on the Reach and Engagement that these Posts receive. 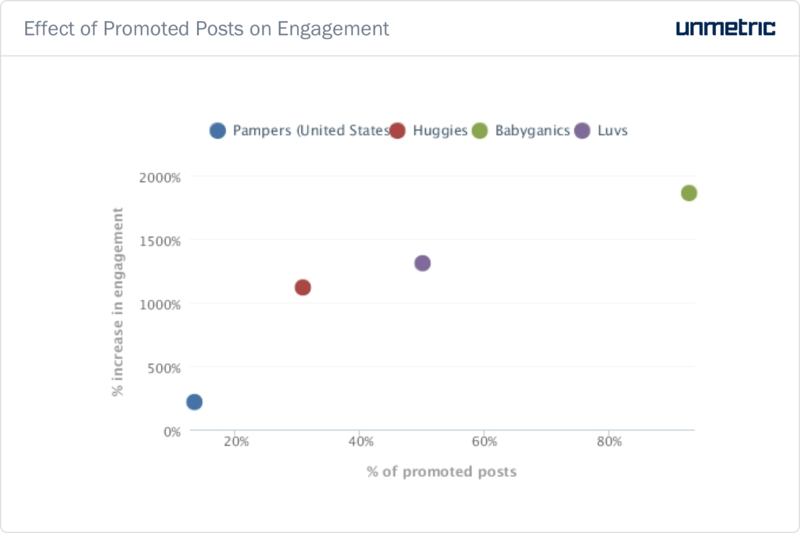 Let’s look at their promotion strategy in detail: Huggies promoted 4 Posts in all. Of these three were part of the No Baby Unhugged campaign. The other was a link to a news article about the move to install changing stations in men’s restrooms. The brand utilized their promotion efforts in the best possible way by ensuring that their video content around a key campaign got maximum reach. Videos, especially like the ones that Huggies promoted incur quite a bit of expenditure. It would be a shame if all that effort failed to make it to enough newsfeeds. One of these promoted Posts (which was a Facebook Ad) took the audience to the Huggies website. This is crucial for boosting website traffic and online sales. With such rich returns on reach and engagement, brands should chalk out a clear promotion strategy as part of their social media plan. 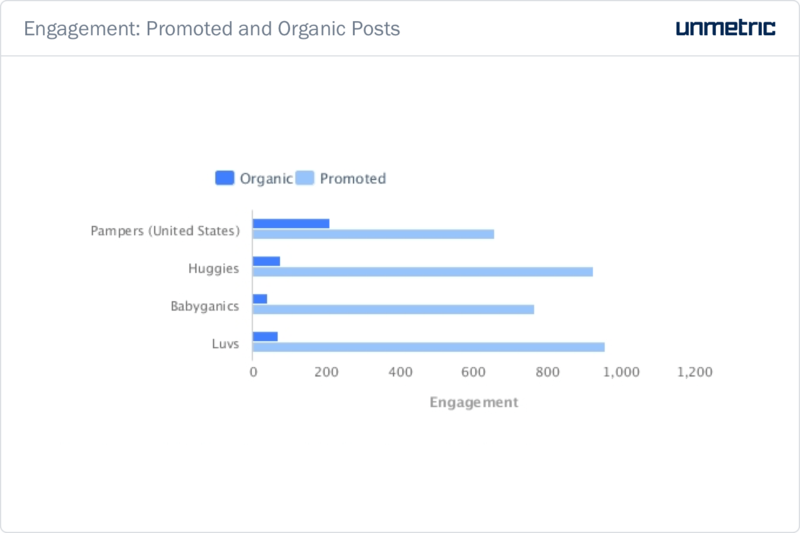 Even though Babyganics promoted much more than Huggies, they received lesser engagement over all. Brands should not compromise on the quality of content that they publish. Rather, promotion should help stellar content reach a larger fraction of the audience. 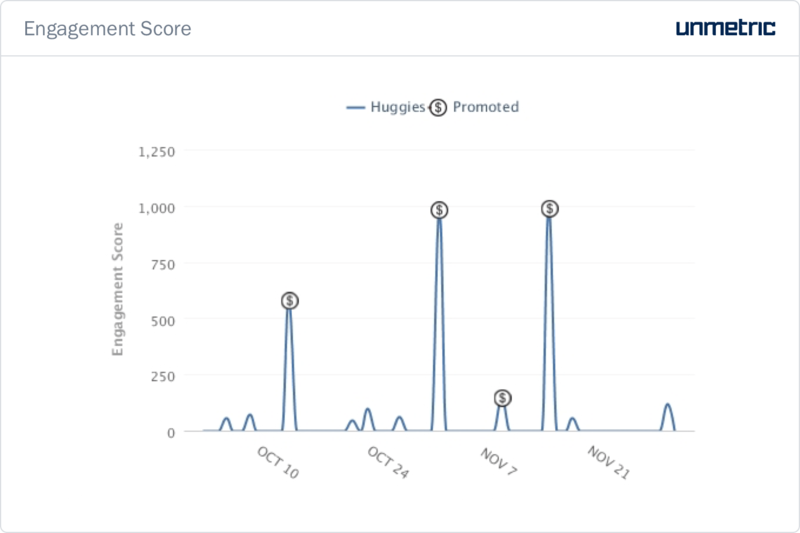 Huggies’ social media strategy, and its campaign execution in particular, is something that all brands can emulate. 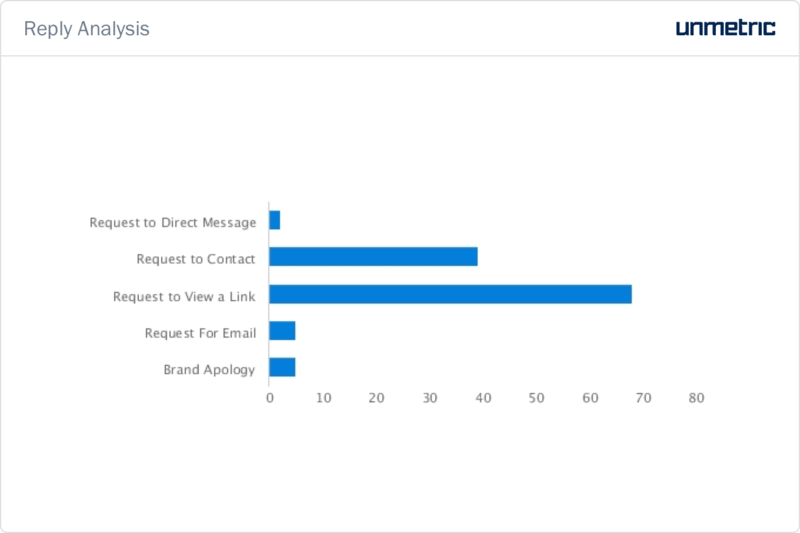 Great customer service, thought-out content and a streamlined promotion strategy are essential for brands to succeed at social media marketing. If you are wondering where you stand on these, check out Analyze. Benchmark your performance vis-à-vis the rest of the industry and see where you are missing out.